Allen County is a county in Indiana. 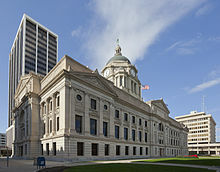 Its county seat is Fort Wayne. This page was last changed on 15 June 2018, at 18:27.